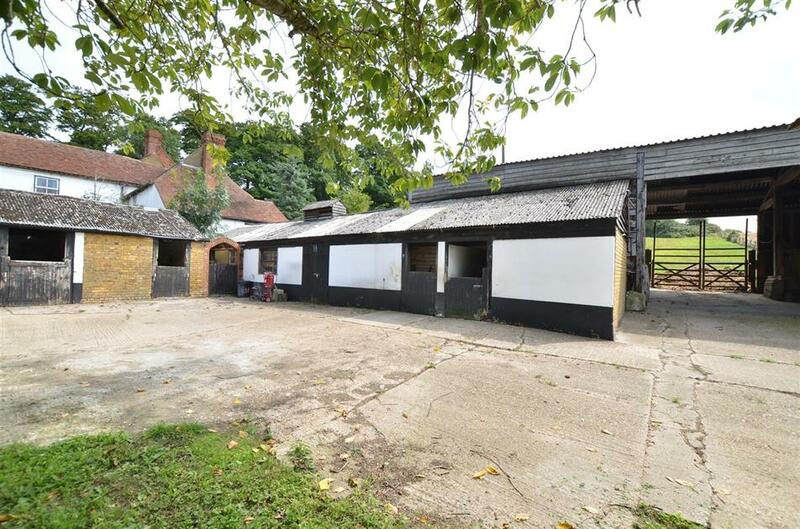 NEW PRICE - GUIDE PRICE £970K - A rural property offering extended family living comprising of a detached 4 bedroom listed period farmhouse with attached 2 bedroom cottage set in 6 acres (*TBV) with a range of barns, outbuildings and stabling and occupying an idyllic countryside position at the foot of the North Downs set. The versatile accommodation, which requires modernising, in all extends to just under 4000 sqft and is currently configured as two residences. 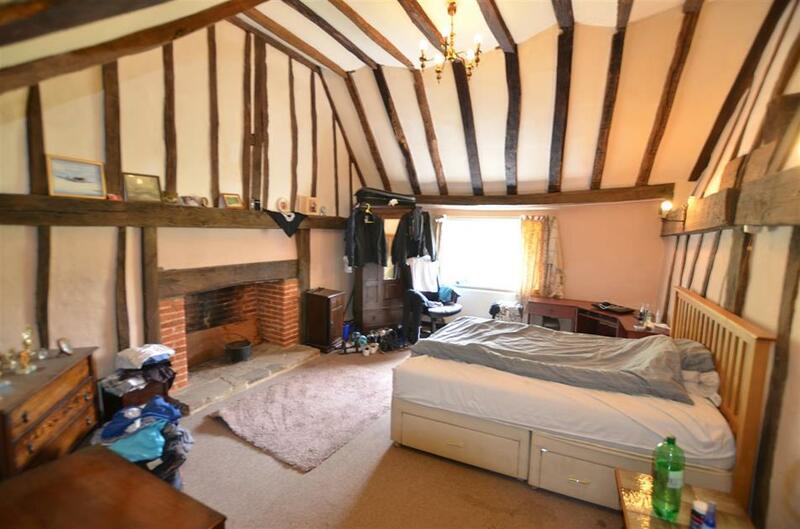 Each property includes features such as exposed wall and ceiling beams, and original fireplaces. 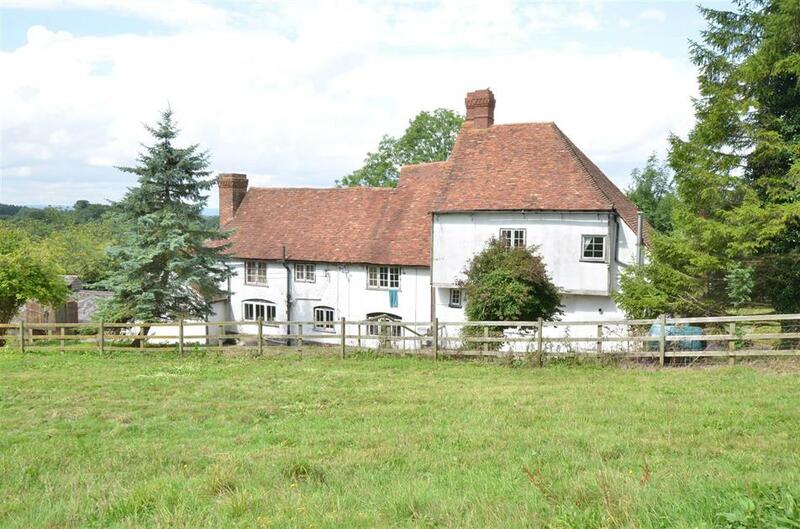 The farmhouse accommodation. 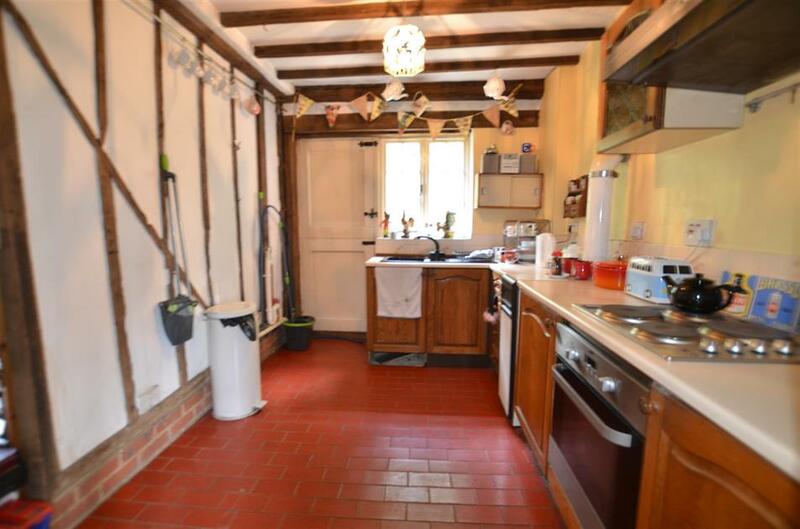 4 bedrooms, large kitchen/breakfast room, utility room and 2 bathrooms. The Cottage accommodation. 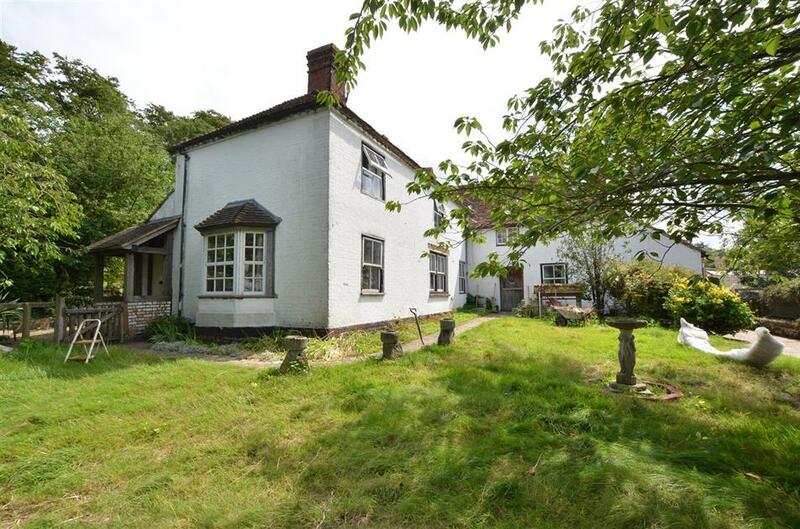 2 bedrooms, 2 receptions, kitchen and family bathroom; The acreage is divided up with a field of around 2 acres to the front plus separate woodland copse along the drive boundary and a field of around 3 acres to the rear . 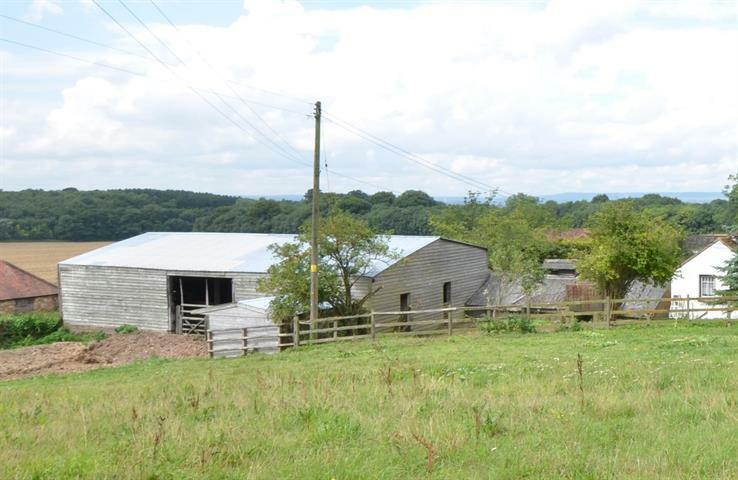 The immediate grounds around the farmhouse amount to around 1 acre including the range of outbuildings which are in generally good order and include: a large detached barn, 7 stables plus workshop ( N.B. 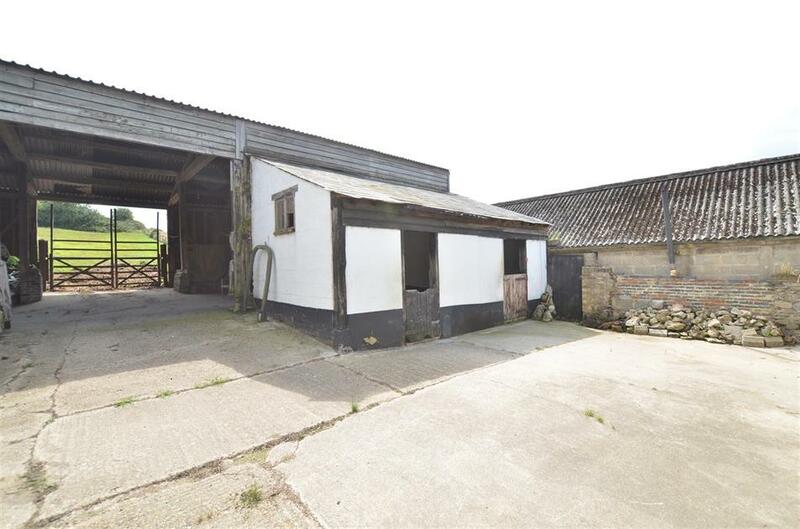 The versatile range of outbuildings may also offer scope to convert for other uses such as holiday accommodation (subject to permissions). 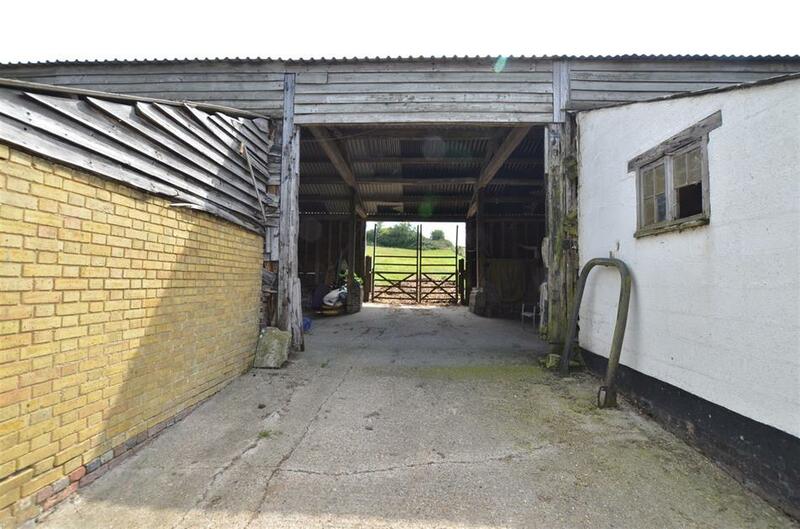 The whole is set in a rural but not isolated location off a lane which in turn leads up to the Pilgrims Way offering numerous bridleways and country walks but also offers good commuting links to the M20 and M2 motorways each within 5-10 minutes driving distance. No Chain. 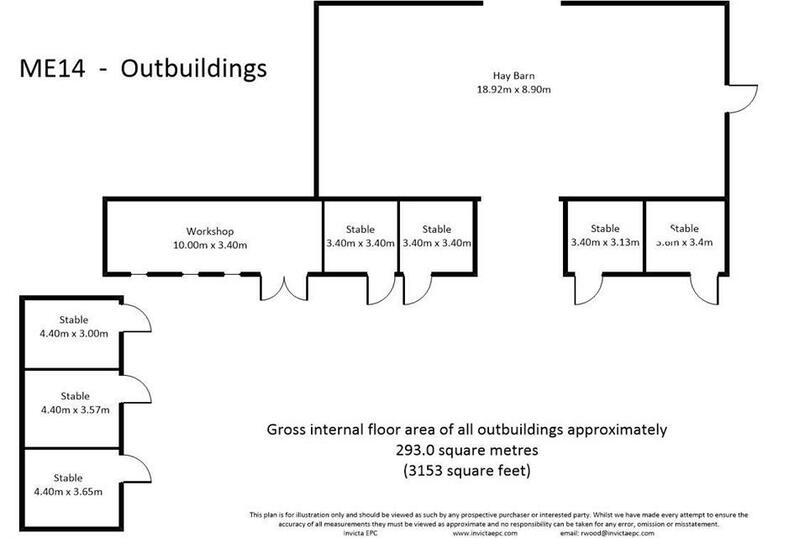 Refer to the Floor Plan; Power, water and lighting laid on. 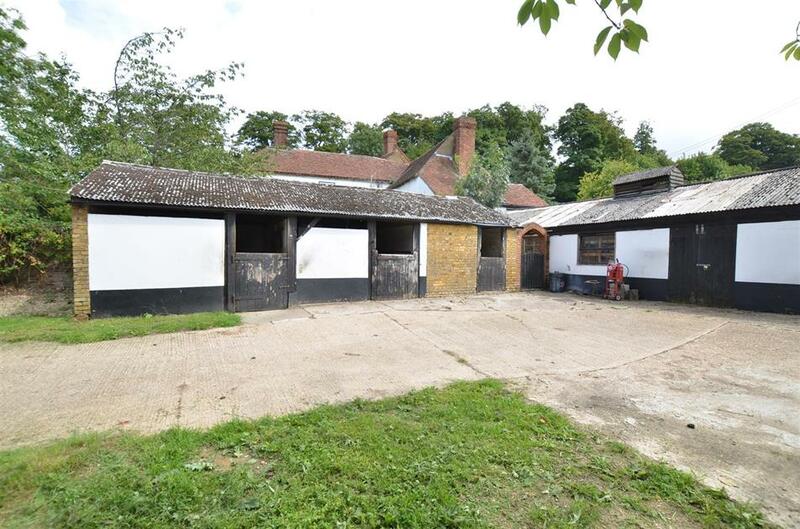 STABLE BLOCKS - 7 Loose Boxes arranged in 3 blocks, (brick and block constructed under pitched concrete sheet roofing) arranged in an L shape with attached WORKSHOP- but could be used as tack and feed room if required. 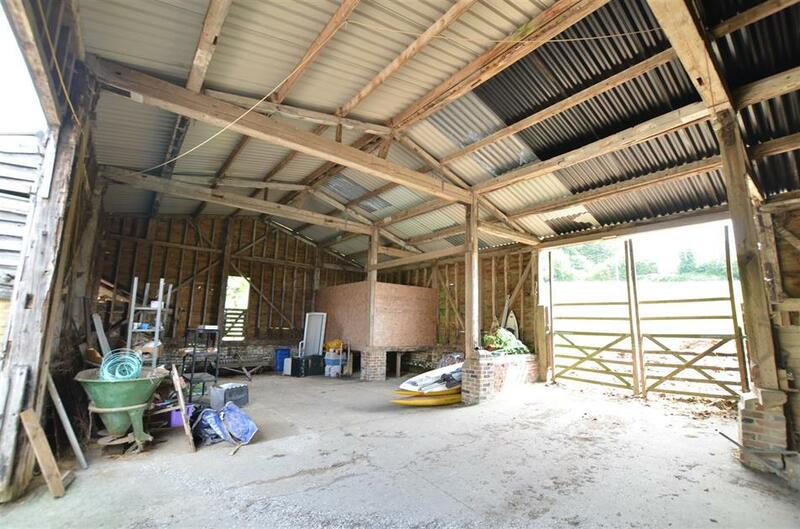 BARN - Approx 30ft x 60ft - large barn, timber constructed, over 1800sqft, double doors opening out to the front parcel of land and to the rear to the yard. Concrete floor and steel sheet roof. The whole plot sits in approx. 6 acres (*TBV). This includes the front paddock, the rear paddock, the woodland strip down the driveway and the main residence and barn/equestrian facilities. 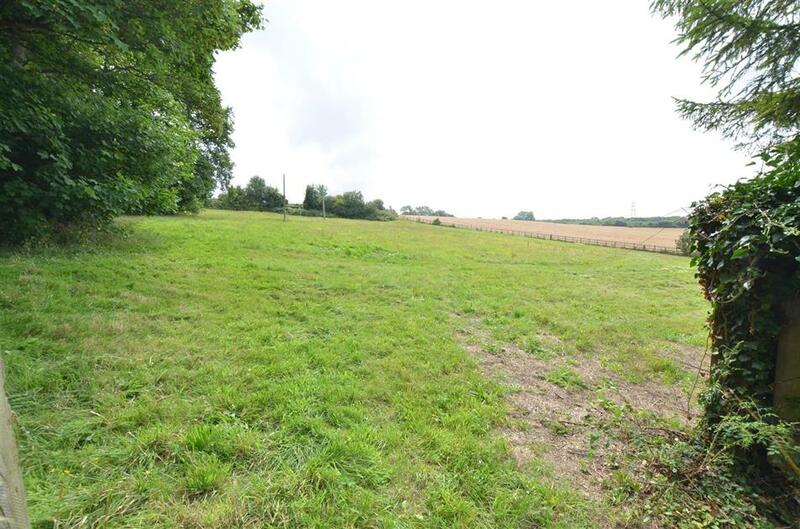 The acreage stated at the property is 'TBV - *To Be Verified', which means that the land has not been formally measured by Equus and or its sellers/clients other than by obtaining the Title Plan from Land registry where available, with the boundary and acreage clearly stated/marked. Interested applicants/buyers are advised that if they have any doubts as to the plot size and wish to have verification of the exact size of the entire plot, they will be required to make their own arrangements by appointing the services of an accredited company who can measure the boundary for a compliant Land Registry Title Plan. 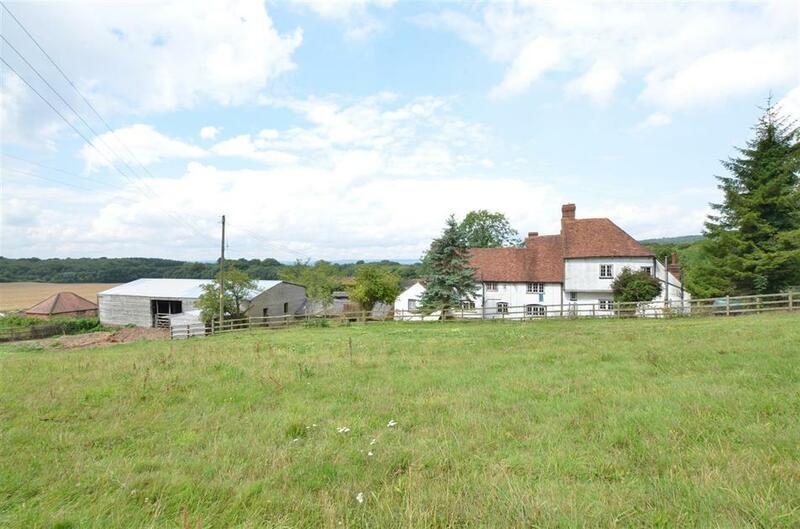 The farmhouse and cottage are situated in a sought after rural location yet close to the village of Detling offering local amenities. The village of Bearsted is also easily reached and offers a better range of amenities including shops, schools, doctors surgery, pharmacy, post office, bank, golf club, ports club, local public houses and restaurants. Bearsted also has a mainline railway station with connections to London, the coast and the continent. The county town of Maidstone is within approx. 2 miles distance and offers comprehensive shopping and amenities as well as 2 mainline stations. 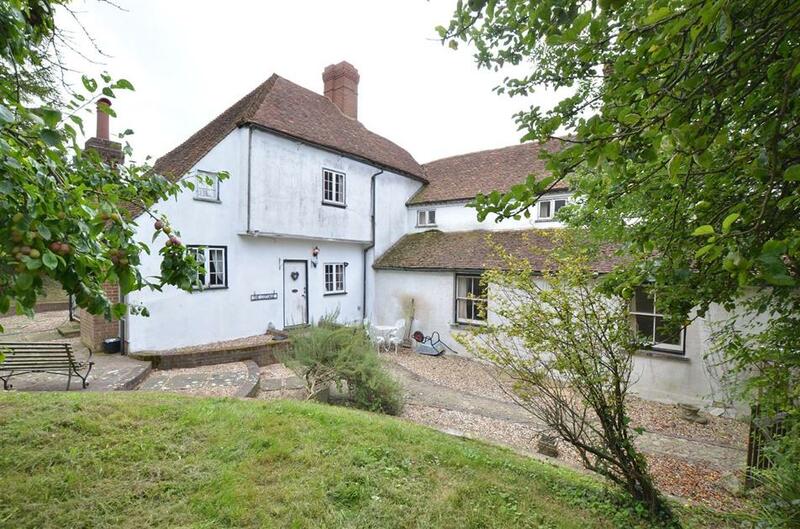 The property is also within easy distance of the M20 and M2 motorways providing links to London, M25, Gatwick and Heathrow Airports and to the Channel tunnel connecting to Europe. 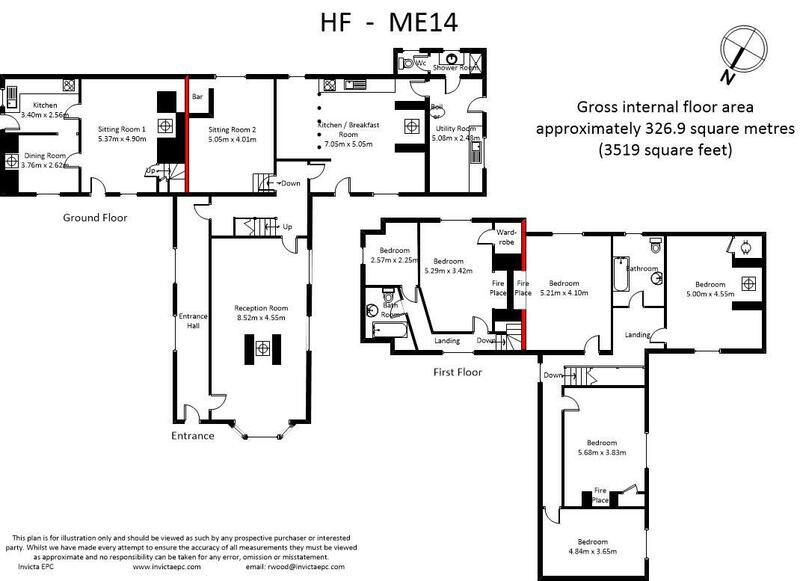 The property is currently divided as two dwellings attached by one wall (shown in red on the floor plans). The whole building is listed Grade I I. 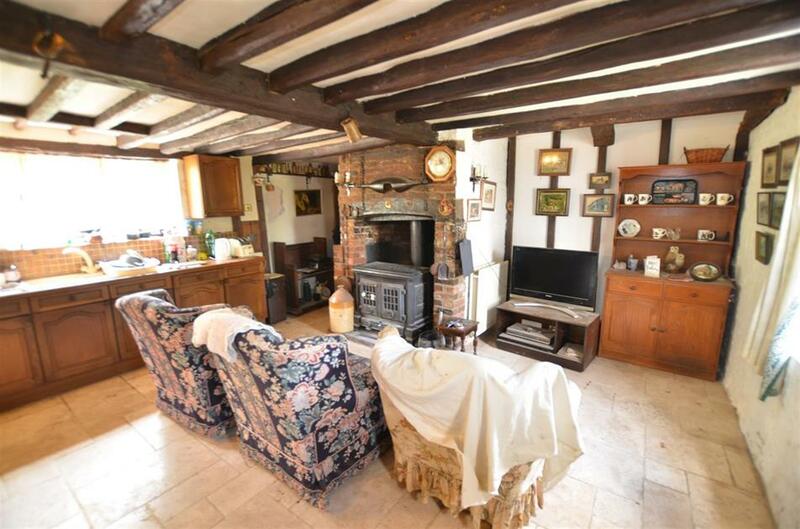 THE COTTAGE - The smaller pf the two properties contains an assortment of period features including a large fireplace in the main sitting room. 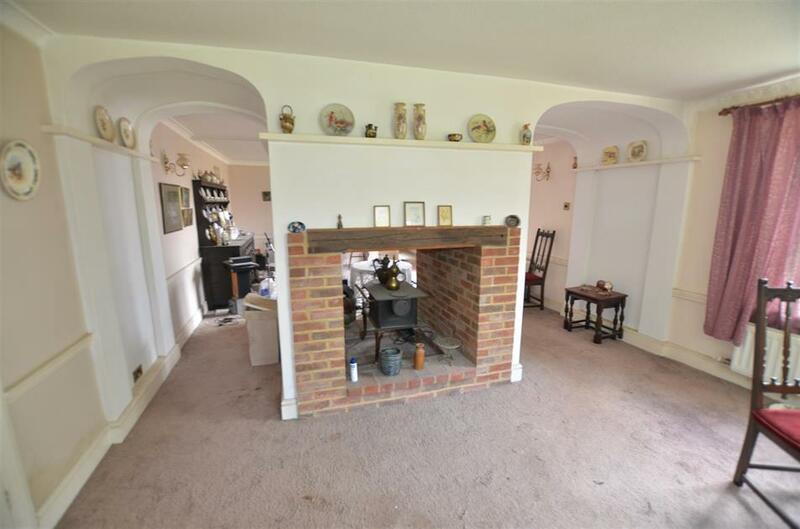 The KITCHEN is in need of modernising/replacing and the second room (DINING ROOM in the floor plan) has another feature fire place. 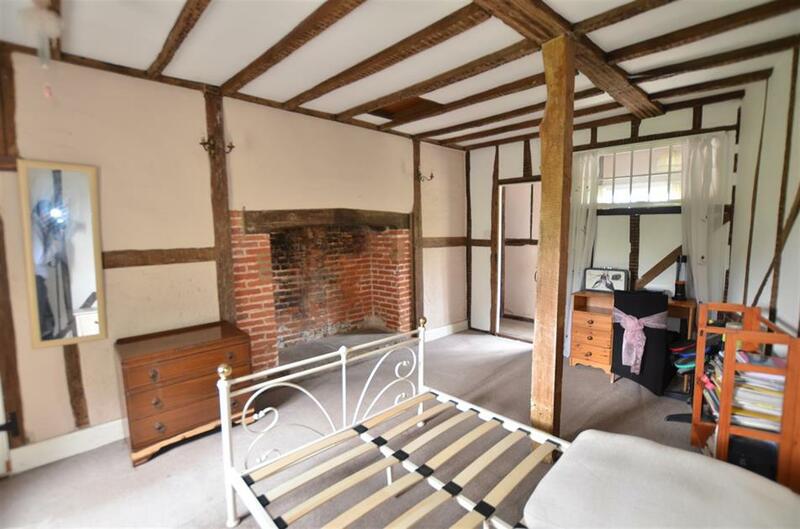 On the FIRST FLOOR there are TWO bedrooms with period features also including beams to the ceilings currently divided with a stud wall. A FAMILY BATHROOM in the eaves with a bath/WC and wash hand basin. 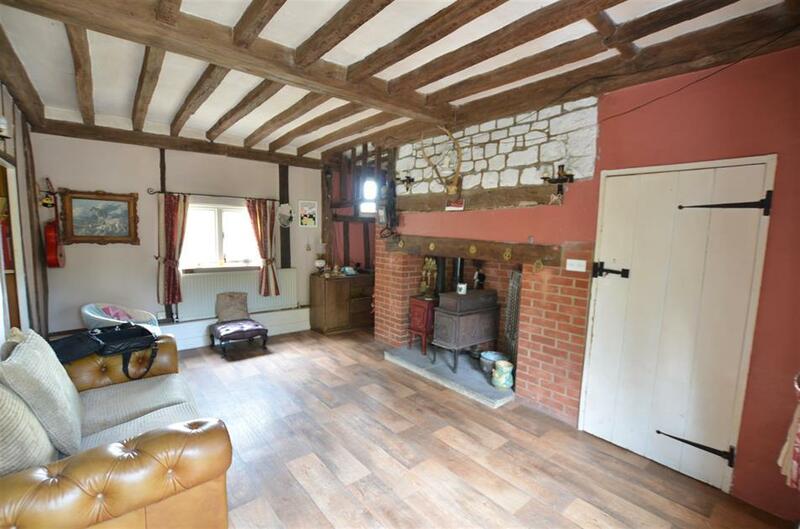 THE FARMHOUSE - The larger of the two properties has had an extension during the Victorian period. The balance spans from 15th C. onward to the Victorian period. 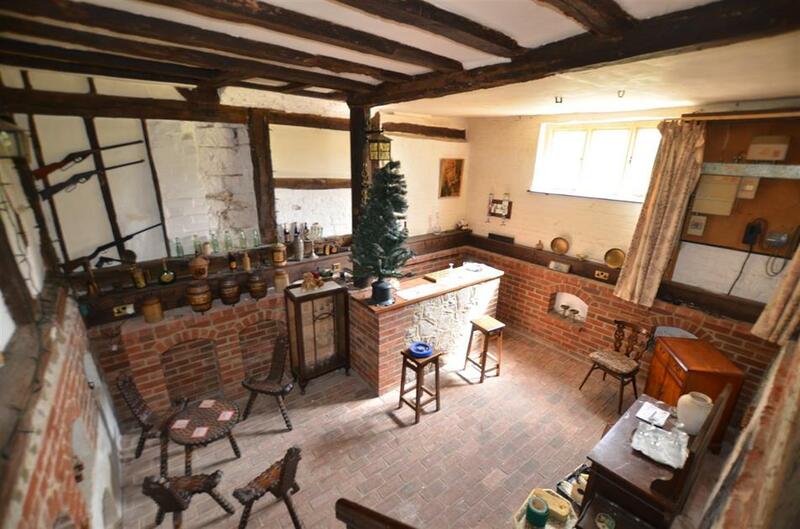 The house is entered via a long entrance hall with the interior boasting a number of period features: including a sunken room (SITTING ROOM 2) furnished and built as a bar. 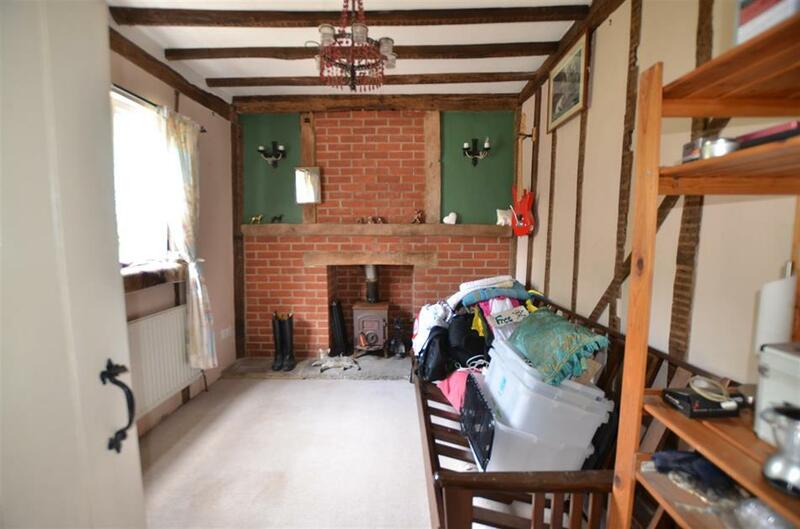 The main RECEPTION ROOM which has a centre fireplace, kitchen and breakfast room, utility room plus shower room with WC. On the FIRST FLOOR there are 4 bedrooms one with beams and a fireplace plus family bathroom. SERVICES: Septic Tank shared, Central Heating Oil. TAX BAND: The Cottage C. Harple Farmhhouse G.
If you are viewing one of our properties through an external website such as Right Move or Zoopla, certain information placed within the sales details may be stripped out of the text; these may include external websites names, currency signs and useful telephone numbers. Furthermore, the site marker / map pin will not necessarily show where the property is located - so please refer to our own website www.equusproperty.co.uk where it is likely to be more accurate, but not guaranteed. From junction 7 on the M20 take the exit for Detling Hill A249 carriageway and turn left after 600m (just over half a mile) immediately onto Harple Lane. On reaching the Lodge House on the left, turn left down the track and the property will be on the left at the end of the track.